Buffets are still around today at almost every hotel in town and thankfully they offer a bit more sophisticated fare than cold cuts these days. For some people, eating at a buffet can be kind of like a sport and they have a whole strategy planned out. 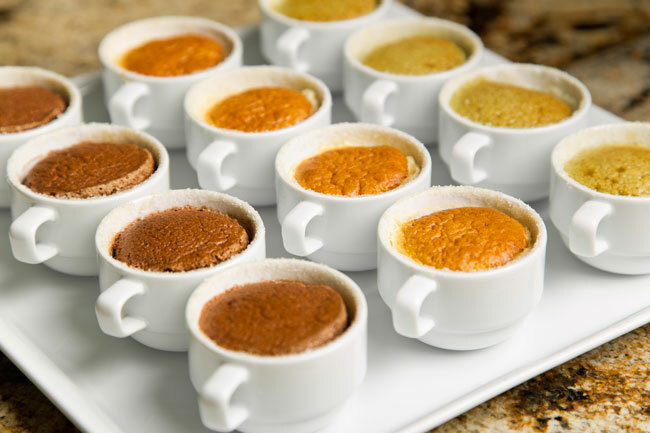 But if you’re not a regular buffet-goer and need a little help navigating your way around one, we have some secrets and tips for you to make your experience better. Wear your buffet pants. (Yeah, that’s a thing.) Let’s face it, when you have prime rib, truffle mac and cheese and homemade gelato in front of you, you’re going to eat it. And you’re going to be full afterwards. So uncomfortably full that you’re going to want to be wearing very comfortable, loose-fitting pants…with an elastic waistband and plenty of extra room. Get a players card or a VIP pass. Nobody wants to wait in line. If you’re at a hotel, get the property’s player’s card and you might be able to bypass the lines at the buffet. If a player’s card isn’t available you might be able to just buy a line pass. At uber popular buffets like the Bacchanal at Caesars Palace, the line can be a couple of hours long so it’s totally worth getting a pass. Total Rewards Diamond and Seven Star members have their own VIP line, but any diner without a player’s card can purchase a $20 line pass to skip Bacchanal’s wait times. Caesars also has cool digital FreshTxt kiosks that let you “check in” in line and virtually hold your place for hours, alerting you by text when it’s your turn to chow down. Buy a Buffet of Buffets Pass. If you’re really hungry, have a really fast metabolism or maybe want to set some kind of eating record, look into the Buffet of Buffets Pass. It gives you open entry to five buffets for 24 hours. Yep, you can eat as many times as you want and as much as you want in 24 hours. Buffet connoisseurs recommend starting around lunch time. That way you’ll be able to fit in lunch, dinner, breakfast and another lunch the next day. The pass starts at $49.99 and will get you into the Flamingo Paradise Garden Buffet, Harrah’s Flavors Buffet, Le Village Buffet at Paris, the Spice Market Buffet at Planet Hollywood and the Carnival World Buffet at Rio. 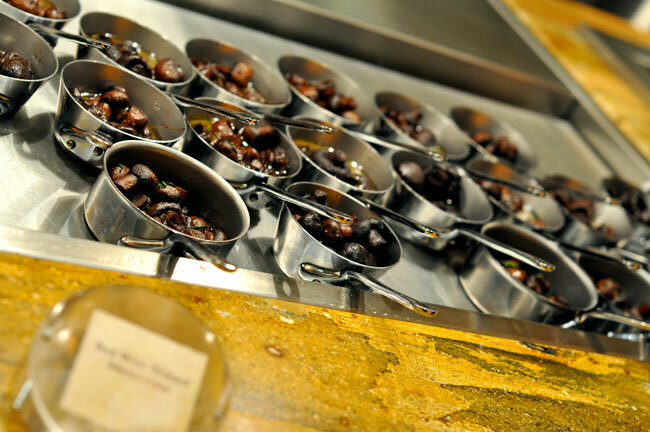 For an additional cost you can add the Bacchanal Buffet at Caesars and the Rio seafood buffet. Be aware of holiday prices. During busy holiday weekends, many buffets jack up their prices. The buffets often have some special menu items for holidays like Christmas, New Year’s Day, Thanksgiving or Easter, but expect to pay extra for them. You might also find higher prices on Super Bowl weekend, 4th of July, during March Madness, Mother’s Day, Father’s Day and more. You can tip at the register. It is customary to tip the server at a buffet who brings you drinks and clears your dirty plates while you are there. But maybe you walked into the buffet with no cash on you. No worries — you can add your tip to your credit card when you pay at the register up front. Make a reservation for a group. Traveling with a big group and don’t feel like waiting in line for hours for a spot big enough for you all? Make a reservation. 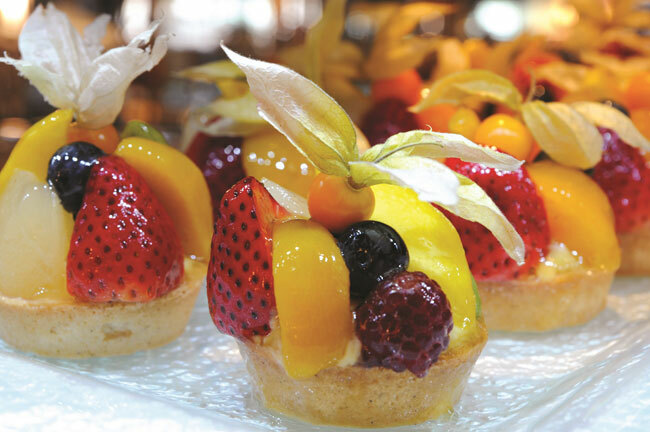 Le Village Buffet at Paris is the only buffet in town to offer reservations on Open Table. Even if you’re not with a group, you can make a reservation and scoff at those people standing in the line stretching around the corner. Take advantage of the hour before lunch and dinner. Timing is everything. Costs vary depending upon which meal of the day is being served at a buffet. Obviously dinner costs more than lunch or breakfast. If you time it right and arrive just before the lunch menu is served you could pay the breakfast price and enjoy the lunch menu. The same goes for paying the lunch price, but getting the dinner meal. This doesn’t work at all buffets. Some of them actually close for an hour or two between meals, but if they don’t, it’s worth a try. Dine on special theme nights. Know someone who could live on nothing but seafood? Or someone who wants to eat a whole plate full of prime rib? 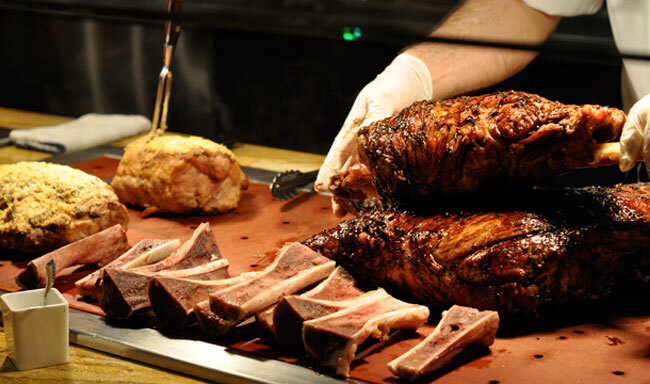 Many buffets offer theme nights during the week where they feature a certain type of cuisine like Mexican food or barbecue. If you really have a favorite food, consider looking for a buffet that serves it on a theme night and you can gorge yourself. 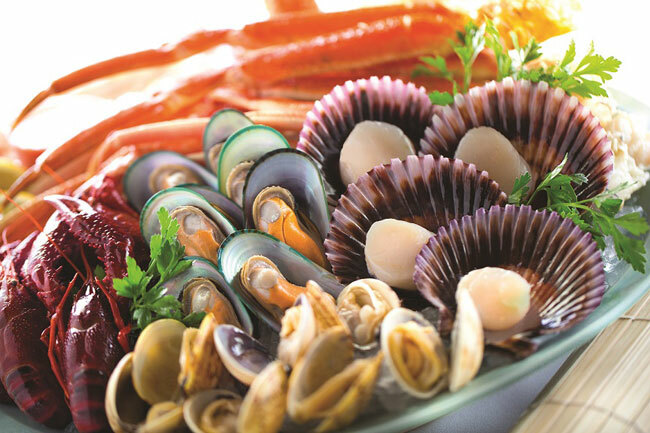 Tip: seafood junkies should hit up the Rio’s seafood buffet. There’s crab legs, lobster, oysters, fish and mussels galore.